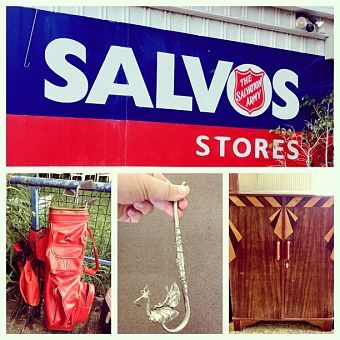 Salvation Army adventure today. Anne Ruthmann. flickr cc. While the 2018 Federal Budget contains some positive initiatives, it fails to deliver on one of the biggest drivers of poverty and disadvantage in the country – the cost of housing. Every day, organisations like The Salvation Army see thousands of Australians struggling to keep up with everyday living expenses. A recent survey of people seeking financial assistance revealed that one in three were paying more than two thirds of their income on rent. Those who relied on Newstart or Youth Allowance to survive were in even more dire straits with some paying 80 per cent or more to keep a roof over their head. Under these conditions, it is no surprise that the number of people falling into homelessness has been increasing. Budgets are how governments make choices that reflect their values. We’ve seen some admirable examples of this around the world. Canada recently put a $40 billion 10- year plan behind their vision to tackle homelessness and housing affordability. New Zealand has also just announced a $100 million injection to get all their rough sleepers housed before winter. Many Australian states and territories are doing their best with the resources at their disposal. However, the problems we are experiencing in housing and homelessness must be driven by a national strategy, using the levers available to the Commonwealth Government and ensuring that funding is available that meets the scale of need both now and into the future. Last year’s promising beginning in housing investment appears to have been a one-off, rather than the much needed starting point for the future. While some low-medium income earners gain a little from taxation changes in this budget, there’s nothing for those surviving on the lowest income support payments. The rhetoric of this budget unequivocally favours those lucky enough to be in the paid workforce and judges those who are missing out as undeserving. Following on from the debacle of Centrelink’s ‘robodebt’ recovery system, the extension of welfare ‘crackdowns’ which have already proven to be misdirected seems to be an unnecessary targeting of already vulnerable people. About ten per cent or almost 30,000 people who seek help from homelessness services each year are receiving no income at all when they first come to the service – an example of the consequences of ‘welfare reform’. Another concern is the mandatory recouping of fine repayments, which are often accumulated by people who are homeless or suffering mental illness. While the present system often allows people who are disadvantaged to plead their case before a judge, the automated repayment of fines from people’s Centrelink payments will leave them less able to pay rent or buy groceries, putting some at risk of homelessness. While many will barely notice the $10 a week tax rebate that leads this budget, the cost will be borne by those who can least afford it. Dr Jason Davies-Kildea (Captain) is Manager of the Victorian Social Programme & Policy Unit in the Salvation Army Australia Southern Territory.